Stuff I learned about in just one week. As I mentioned before, I was a Twitter neophyte. I wish I had understood earlier the learning power of 10 minutes of twitter feed review. I understand it now. I’m not going to be shy about sharing this simple personal learning network resource. Looking at last week, here are a few things I learned over the course of one week. One of things to which I pay attention is how often I see the same or similar ideas being mentioned. These are often very good ideas. Read an article that asked, “Business survey: Which of the following would you say are the most critical skills for employees in your organization to possess today? Select up to three.” Here are the results. Are we giving teachers and kids enough opportunity to practice these skills? Learned a whole bunch about Harriet Tubman. Professional learning for educators. Over and over again the idea that PD must be led by teachers. Top down rarely works. A great phrase popped up when describing what it’s like sometimes to be in education. People have lots of conversations “about us, without us.” This is true. Lots of news and articles about the testing pendulum swinging back to sanity. A piece of information about a student on a given day. Helpful, but limited. More helpful to look at larger group information, but still limited. Not the be all and end all of anything. Learned about a woman named Grace Hopper. “The most dangerous phrase in the language is ‘We’ve always done it this way.’” -Rear Admiral Grace Hopper. Bio: http://goo.gl/zDFt3t. We’re adopting that quote all over the place, including in a draft vision we’re creating for our 1:1 work with kids and teachers. Read about the idea of schools having become ‘distribution centers’ rather than ‘discovery centers’. This notion makes me wonder when and why does curiosity fade? These are just some of the ideas from one week. I should have set 10 minutes aside everyday as a principal or a teacher to swim around in the resources and thinking. I would have been better at both jobs. Another blog post. Because it’s been awhile and I promised myself I’d keep going. On the road again! A number of the TLI leadership team members are off and running, studying, questioning, and learning. All of this work is in preparation for the 1:1 rollout, slated to begin in the fall of 2017. We have visited Sumner, Auburn, and North Thurston school districts. In fact, we visited North Thurston with our colleagues from Auburn. Networking with professional colleagues is one of our favorite things to do. We ask a lot of questions during these visits. Our most important questions center on instructional practice. How do we best support teachers and students in using 21st century skills? Here’s a great quote from one of the books we’re studying, “Technology can be used as tools for consumption or as tools for creating and producing. The first approach assumes that students learn mostly by receiving and absorbing existing knowledge, that they are consumers of knowledge, and that technology is there to help them better take in knowledge and improve their academic outcomes. The second approach, on the contrary, views the most critical role of students as creators. 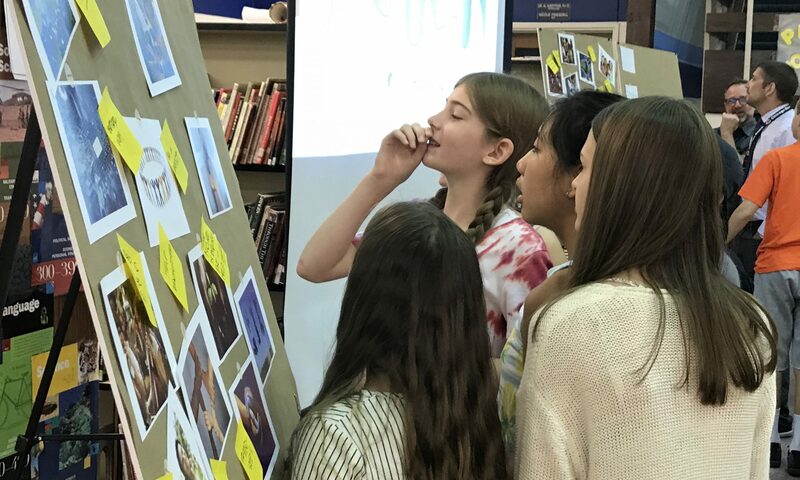 Students learn by creating projects and products, forming new knowledge during the process, and communicating and sharing their experiences, feelings, and ideas, often in a collaborative learning context. The role of technology is to empower students in this process.” While being aware of the first approach, we’re focusing on the second approach!